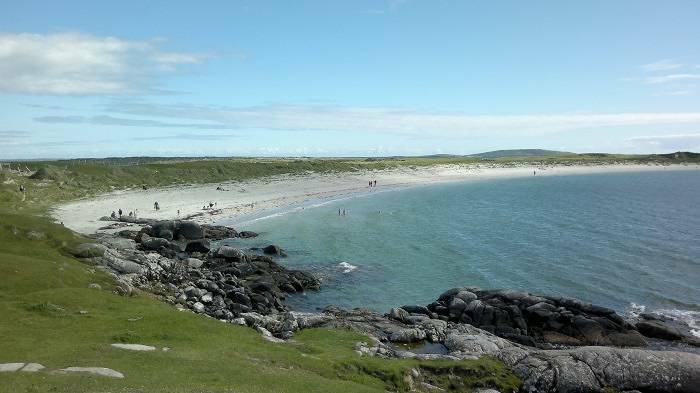 Ireland may not quite have the climate of the Caribbean, but you may not have realised that the Emerald Isle’s beaches are on a par with the best of them. These broad sandy beauties are often wild, usually dramatic and always popular when the sun shines. 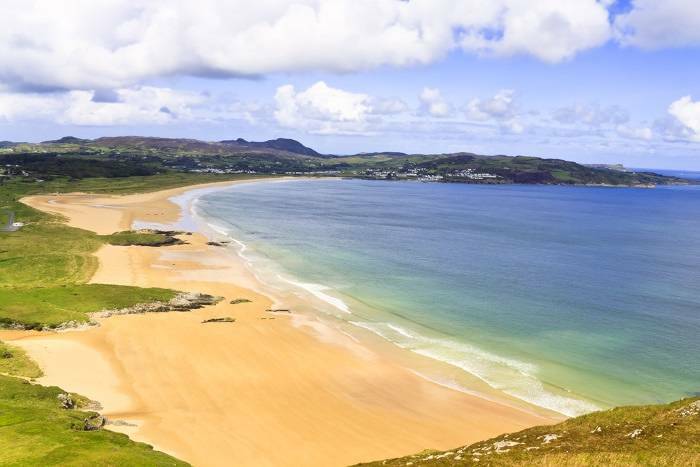 Here are some of our top Irish beaches to visit. The Dingle Peninsula in County Kerry is chock-a-block with knock-out beaches. 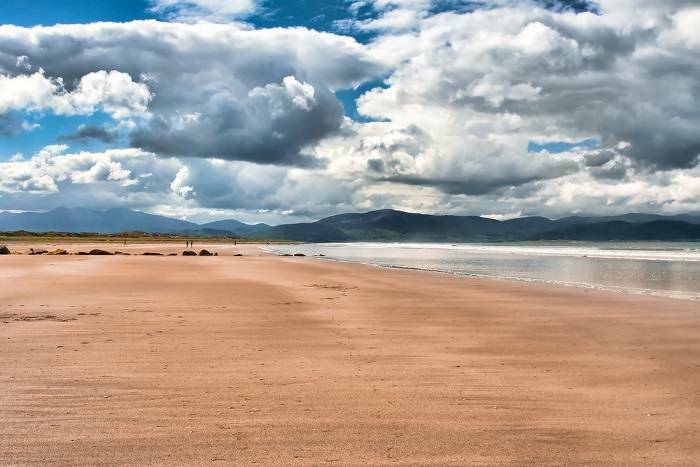 But special mention must be given the beach at Inch Strand, all three long miles of it. It’s popular for surfing, kayaking, kite surfing… not to mention many more water sports. Lifeguards are on duty during the holidays so it’s good for swimming too. For some of the brilliantest white sand you’ll see in Ireland head for these two back-to-back beaches two miles from Roundstone, Co Galway. Both are naturally sheltered from ocean currents which means that the waters are crystal clear and safe for swimming. 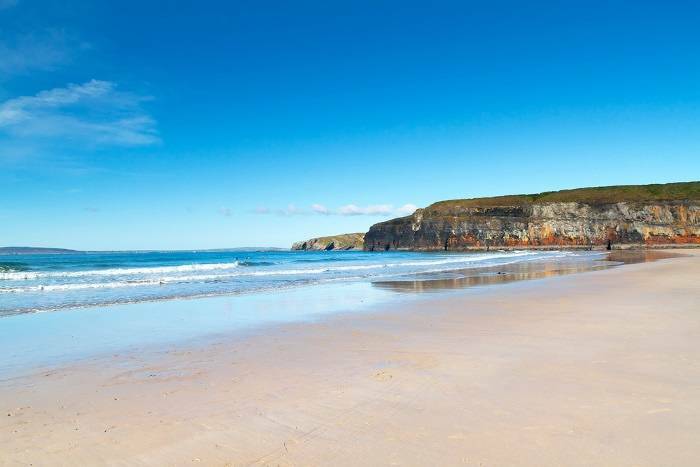 Take a a short walk from the town of Ballybunion in County Kerry and you’ll stride onto Ballybunion beach – an extensive stretch of sand set within a designated natural heritage area. The are some striking rock formations here and if you come at low tide there are shallow caves to explore. Up for more wandering? There’s a path from the beach to Nun’s Beach, a smaller beach overlooked by an old convent. It’s approximately a 20-minute walk to get there. Gently sloping golden sands, gorgeous greenery, and sheltered waters – is it any wonder that Magherawarden is frequently cited as one of the most beautiful beaches in the world. Yet, thankfully, it is almost never crowded! Lifeguards patrol during the bathing season. At this stunning portion of Northern Ireland coastline, honey-hued sand dunes meet with white chalk cliffs, some of which have been worn away into delicate arches. At low tide you can venture in among the caves and rock formations. And just when you thought it couldn’t get any more scenic, you’ll spot the atmospheric ruins of 13th century Dunluce Castle on the cliffs above. 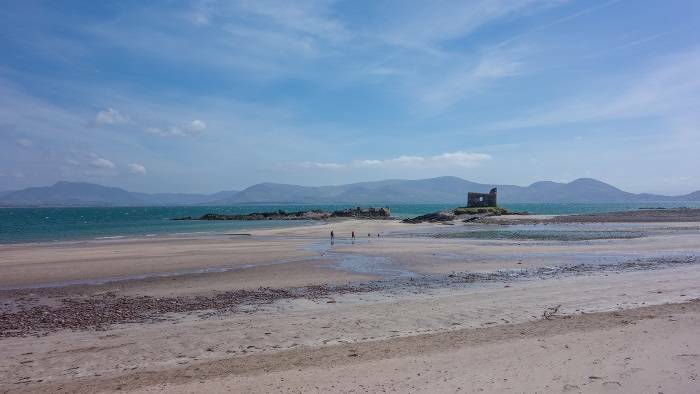 Known in Ireland for McCarthy’s Mor; the photo-worthy castle on the beach, as well as for its golden sands and clear water, there’s no denying the charm of this pristine one-kilometre-long beach. It’s one of the secret gems of the Wild Atlantic Way. 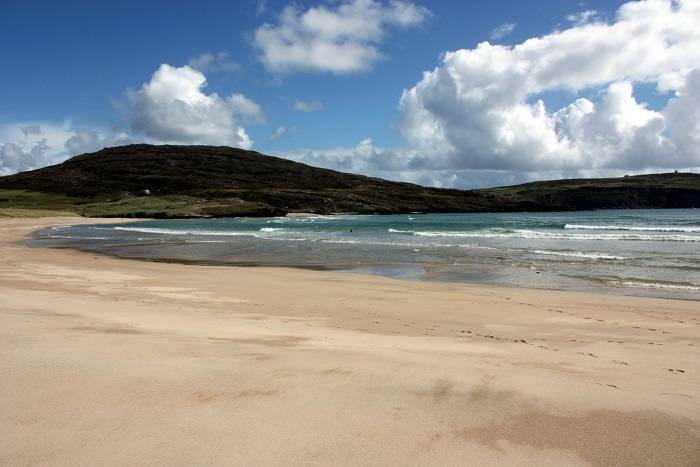 This beach takes its name from the Gaelic word Óir, which means a ring of gold. Which should give you a hint of the gorgeous golden sands at this pretty little beach. There are also rolling sand dunes and it’s a bit of a surfing and kite flying hotspot. We defy you not to come over all snap happy in the utterly charming fishing village of Dunmore East. But if somehow make it through the pastel-hued streets without instagraming anything, the view of the beach with red sandstone cliffs and a white lighthouse should have you grappling with your camera in no time. On a practical note the calm waters are brilliant for kids, as are the rock pools. 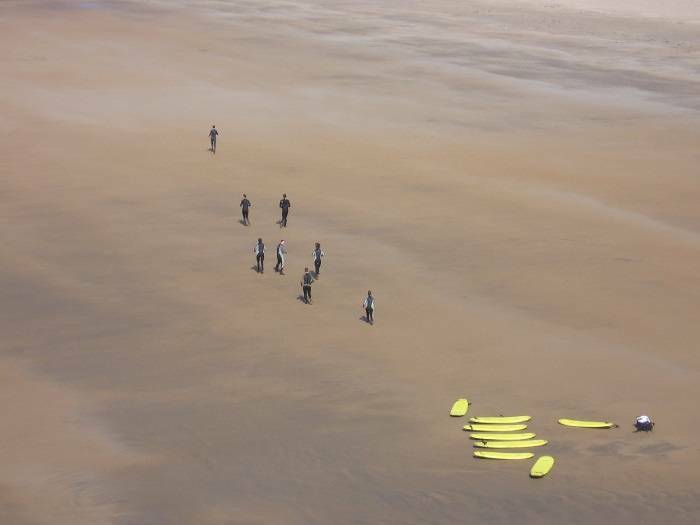 If you’re interested in surfing chances are you already know about Bundoran. 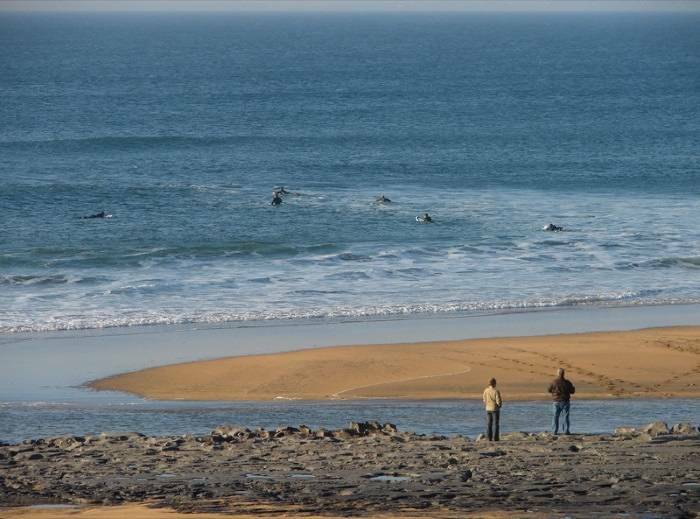 It numbers among Europe’s top surfing destinations and every year draws more crowds keen to surf the Peak. If you’re not interested in the offshore waves then the two-kilometre-long beach has plenty of appeal of its own. 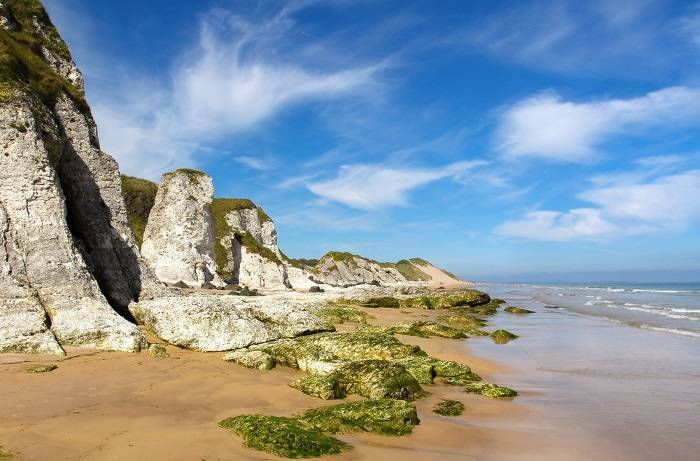 If you’re up for long walk you can take in all the attractions of this stunning 11-kilometre-long Northern Irish beach, from cascading waterfalls to rolling sand dunes and the circular Mussenden Temple. 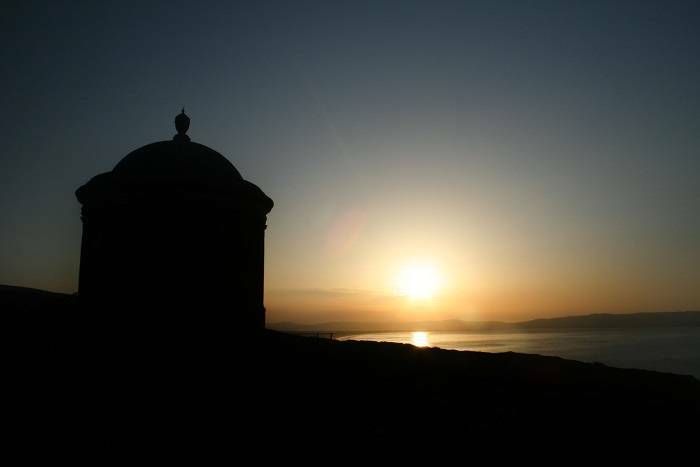 From the cliff tops you can explore the 18th century ruins and enjoy some sweeping views Counties Donegal, Antrim and Londonderry. Barleycove is a remote beach, but worth the drive to get there. The sandy beach is sandwiched between two headlands, with plenty of sand dunes for exploring. Because the beach is also a natural heritage area you reach the beach via a floating bridge, designed to minimise visitors’ impact on the rich surroundings. 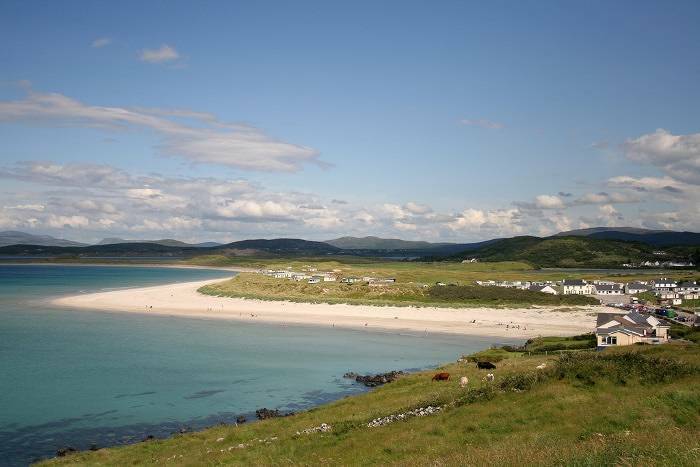 Low craggy hills provide an atmospheric backdrop to the silver-toned sands of Narin Beach. It’s yet another Blue Flag beach set within a designated natural heritage area, but described as something special by locals and tourists alike. Come at low tide and you can wade out to Innishkeel island, where you can explore the ruins of an old church and graveyard. Feeling inspired? You can book your flight to Ireland here, or check out what incredible value Ireland hotel deals we have found.